If you are the kind of person for whom a pint of beer just isn’t enough, you are in the right place. 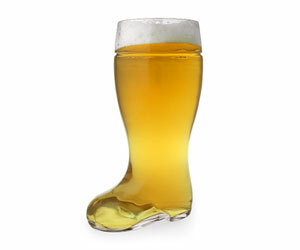 Now you can drink so much beer the only fitting way to hold it is in a boot! There are two pints of beer in this baby.